The MFD is a rugged, light weight display with integrated switch panel designed to provide context sensitive pages to control complete vehicle systems whilst displaying system data, alarms, and statistics. It features a large, high resolution TFT VGA display with a backlight which can be adjusted over a wide range so that the display is easily visible in a vehicle during bright sunlight and at night. All switches have multi-colour LED backlights to show switch state. 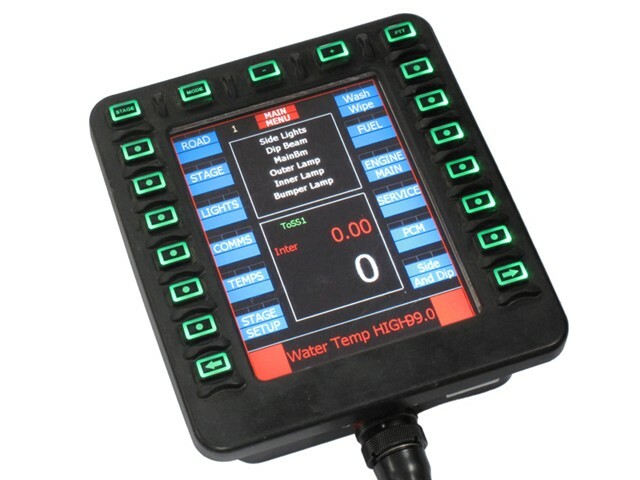 The display has eight software controllable HSD outputs suitable for driving cockpit lights, indicators, brake lights, etc. The display can receive a stream of data over either serial or CAN and is compatible with Cosworth data logger and controller products. e.g. Sigma LLB or MQ12 Engine Controller.